Time and again certain values are highlighted in public discourse - more recently perhaps empathy, resilience, or sustainability. One might get the impression that those who use these words have already interiorized such values and have in fact become more empathetic or resilient, or their projects have reached sustainability. However, experience with human nature tells us that frequent talk about an ideal is not always a sign that we are acting on it. It often leaves us feeling somewhat suspicious. Positively such new words can mean two things: a) that we believe this value is worthy of better understanding and appreciation, and b) that we are ready to take the first steps towards living this ideal. I think this applies also to a value we Oblates recently refer to as “internationality”. It is now a regular subject of conversation throughout our congregation. Although the suspicion remains that we may not fully live it. We must recognize that many see it as something worthwhile and wonder how they could commit themselves to this aspect of our Oblate life. “Internationality”, in the context of our mission, is to me more of a ‘working title’ we may use, until we find a better expression for the reality behind it. The Chapter document also paraphrases it as “border crossing”. There are a variety of ways of expressing internationality (border crossing): missionary work in a country different than our own; our reaching out to those considered strangers or marginal in one’s own country; or multi-cultural Oblate communities. Also, It is not meant as a static situation – like a building displaying many national flags - but rather a dynamic reality- a missionary daring, bold enough to cross ever new borders including, but not limited, to national ones. The practical result of this dynamism may well be that we will minister more and more in international settings and live in international communities – both present quite a challenge! – but the value behind this challenge is larger. Utilizing the image of one of the general council members, one could say that the Congregation, seen in its internationality, is like one of the great rivers of the world. It could be the Ganges, the Mississippi, the Amazon, the Nile or even the Yangtze. It flows across numerous countries, passes through various landscapes, cultures, languages, histories of peoples, brings life and fertility to whatever it touches, gathers water from numerous tributaries in the different lands but never loses its identity. On the contrary, it becomes a vital element of growth that contributes to civilization, to culture and the economy of people along the way. It is not stagnant or static. It crosses through borders and is never deterred by barriers. The congregation and its mission flow in a similar way and we are part of it. In the following, I invite you, first, to review our reflections on “internationality” as seen through the lens of the last two General Chapters; second, to acknowledge the reality of today’s Oblate ministry and life; third, to consider how to be “daring to cross borders” as Oblate missionaries and fourth, to consider some practical suggestions. “to boldly face up to all the consequences of our demographic growth in the southern hemisphere. 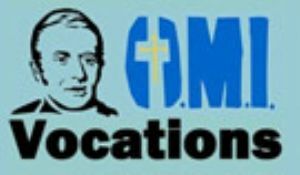 to live a true conversion in this regard; avoiding being stuck in such terms as ‘my region, my province, my country’ so as to become more Oblates for the whole congregation, the church, and for the world. 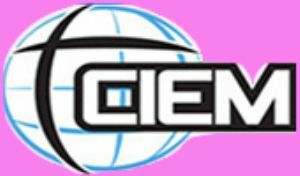 to be more adaptable, generous, and open to other cultures, in giving and exchanging personnel in function of the worldwide needs of the mission. All this was said nine years ago! Has there been any development since then? In my report to the 2004 Chapter I enumerated several steps that had been taken in recent times. There were four projects in the formation area: “missionary formation, regencies for all Oblates in first formation, consolidation of formation houses and peer visitation”. We also opened the “mission pool”, officially called “Missionaries without frontiers”, we saw the birth of initiatives like “Missionaries to France” and the Birmingham project, and we made efforts for restructuring and for strengthening the Regions. In the 2004 Chapter, Internationality occupied centre stage. Why was it seen as so important at that point in history? The capitulants offered several motives. There is no doubt, the last two General Chapters have increasingly drawn our attention to international solidarity, to intercultural exchange, and to border crossing. Are we able to recognize here a call consonant with the charism of St. Eugene, a call that comes from the Spirit? What should our answer be? What is our answer? “The world no longer works in the same way. Old borders are breaking down even as new boundaries are emerging”, was the analysis of the Oblate capitulants in 2004. In some ways, we live in a world that feels like one global nation. The ease of communication and travel, as well as the movement of goods and money have created new realities and a new consciousness. The last 50 years have seen a near doubling in the number of immigrants moving worldwide. Thus, people of different cultures, previously unknown to each other, are brought into contact. A new global concern for peace, justice and the use of the world’s limited resources has been born. On the other hand, new barriers are rising: poverty continues to increase, in great measure due to unfair trade conditions, while xenophobic and fundamentalist views make themselves felt with new strength. The situation of borders of all kinds has become complex – but this is the world to which we Oblates are sent and where we are called to witness to the love of Christ, the world’s Redeemer. 1. A congregation present in many countries – is this enough to be an international missionary congregation? We are present in 67 countries and at our meetings we can display many national flags. In a certain way our congregation corresponds to the global village of our world. However, the question remains, how much are we in fact international in our daily living and working, and how much are we still crossing borders? It is typically missionary to cross borders, understanding these as not only borders of countries, but also of cultures, age groups and beliefs. 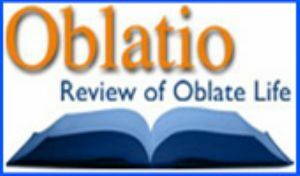 How many times has the average Oblate crossed borders in recent years? Statistics about Oblates going to other countries may shed some light not only on internationality but on the whole picture of our missionary daring. Thanks to our general secretariat and its director, Fr. Tom Coughlin, we do have data about expatriates and missionaries, the age factor in this, and the sending and receiving provinces. This gives some indication about how much we are an international congregation right now and what the tendencies for the future may be. The drive for ad extra mission is alive in the Congregation! In the following, I present a list of provinces and delegations that have between 14 and 40% of Oblates originating from them working in another country. Five European provinces are still the champions, though at present some of them are suffering from a drought of vocations. It is heartening to see that outside the Western world, Units like Congo, Colombo and Peru already have more than a fifth of their missionaries abroad. There is hope that the Congregation’s commitment to mission abroad will continue. As I pointed out in my recent letter on mission, many of those asking for a first obedience are ready to be sent to other countries. More precisely, since the Chapter of 2004, 65 young Oblates out of the 200 were given a first obedience outside their “home” province, which means nearly 33%. Also, a lot has been done to prepare the Oblate to cross borders. A number of formation houses are international – at the time of the Chapter, these catered to 40% of our students at post-novitiate level. The Region of Africa has made a big move in recent years, adding to the Cedara endeavor in the South, a common philosophate and a common theologate for northern, francophone Africa, i.e., in Yaoundé and Kinshasa. Besides that, all over the Congregation, regencies, outside of one’s home country, are being introduced as a normal part of formation. This gives the opportunity to step out of one’s own culture for a year and often leads to learning another language. As a result we can boast of quite a few international contexts in our communities, delegations and provinces. In this context we could mention the province of Cameroon, which includes Nigeria and Chad, the province of Argentina - Chile, the project “missionaries to France”, the missions among the First Nations in Canada, the Delegations of Pakistan, Japan-Korea and Thailand, and many others. In addition to this, we see the different restructuring processes which have made some of our Units more international, the latest move being the integration of Germany, Austria and the Czech Republic into the Central European Province, established in May of this year. If we look closely at the details of the number of Oblates working in countries other than their own, two concerns arise. One is about the age of the expatriate missionaries – most of them are over 60. Will we become less international once they return to their province of origin? The other concern is that not all provinces seem to be equally motivated to send their people abroad. Sometimes there are good reasons for it: the needs in one’s own country may be too pressing to give away a missionary workforce, or the province is still too young. However, going to another country is a powerful sign of our missionary nature – sooner or later we should give this sign to the Church and to ourselves. A very exceptional province in this regard is Poland, contributing to the Oblate world almost half of the younger missionaries ad extra (under 60 years of age). The group of those under 45 years old almost reaches one hundred (97 exactly)! Other provinces with substantial numbers of younger missionaries abroad are Congo, Italy, Haiti, Colombo, Jaffna and Spain. The chart above indicates the Units (except Poland) of the Congregation that are sending the most missionaries less than 45 years of age, abroad. The data at the right shows the average presence of expatriate Oblates among the missionary workforce; overall it is 21% in the Congregation. Each Unit could compare to see if it has more or less of an international mix. To look at this aspect of internationality in detail, I have divided the Units in four groups, according to the percentages. New Units naturally start with up to 100% of expatriates (group 1, below), then in the course of history the local Oblate component may become stronger (group 2). The transition to local Oblate leadership usually is a critical period. At the end of the process the local Oblates make up about 80% and a high degree of inculturation has been achieved (group 3). Finally, very few foreigners are left. (group 4) To me this presents the question of whether the Unit is not becoming too local (national). Would a Unit in group 4 profit from being enriched by an international component? (group 4). Based on all this, several questions may be asked. I repeat, foreign mission is not the only way of missionary border crossing but it may well be indicative of the readiness to cross other borders, even if local. There are questions that arise in the sending Unit. There are other question that arise in the receiving Unit. These questions should consider not only personnel, but also other resources -- land, buildings and finances. Will the Congregation have enough missionaries ready to be sent to make up for aging expatriate missionaries? Are we doing enough to motivate and prepare our young people to face a country, a culture and a church different from their own? How does mission work, from a poorer country to a richer one, when in the past it was almost entirely the other way round? We must recognize that some of the classical patterns of foreign mission have changed. This change does not concern the primary motivation, which is to announce Christ, the Savior and his Kingdom; but, rather, some of the secondary motivations. The missionary is no longer just one who reaches out to people less educated than himself and economically poor. Oftentimes, the missionary is called to minister in contexts that are more affluent and with people generally more educated than in his home country, like Paul at the Areogapus. The missionary today is not the sole creator of the local church; but, rather, is called to be a cooperator with the local church’s mission. Are we motivating our students to become missionaries this way? Are we giving them the instruments to succeed? This new reality of mission requires consideration of land, buildings, finances and administrative skills. How can we provide to each Unit the resources not only to send people out but also to prepare them well for being sent out? Sharing such resources is as much a condition for our mission as sharing personnel. One type of province might be able to provide Oblate personnel, and another type can support the mission by expertise and material solidarity. Crossing borders must include all this if we want to effectively move ahead. In this sense it was good to see that this year the European Region has decided to accept joint responsibility for financing first formation within the Region. The Congregation may benefit through the sharing of the experience of this with other Regions of the Congregation. A different kind of questions arises at the receiving side. Are we ready to receive foreign missionaries? 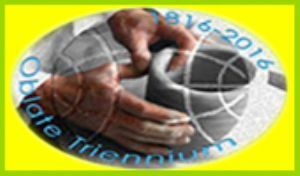 Do we have a mission thrust and missionary projects to offer? Do we have a process to introduce the foreign missionaries to our context and life? Do we have a process to prepare ourselves to receive missionaries? How can we create situations where the foreign missionaries may contribute all the riches they bring with them? These questions apply to provinces in need of personnel, especially in the secularized world – from North America to Western Europe to Uruguay to Japan - some of whom in the past used to send out their own people. The questions also apply to provinces that have left behind the founding stage and are now well inculturated and autonomous. They too could profit from becoming more international again. Not even one province in the Oblate world should be deprived of a certain amount of international Oblate presence in community life and mission. The Chapter’s intuition about internationality and crossing of borders can easily be connected to biblical roots. The Chapter documents identifies these connections. In similar ways there are roots in the tradition of our Founder. As part of the reflection I also want to name some of the difficulties and fears that arise when we are approaching borders to be crossed, and suggest ways of overcoming those obstacles. In their 2004 letter, the capitulants invited the Congregation and our lay associates to draw inspiration for today’s mission from Abraham and Sarah. We take note that to set out into the unknown, set out to a new country is what is suggested to us as missionaries, following the unpredictability of God’s plan. In Genesis 12:1 we read: “The Lord said to Abram: ‘Go forth from the land of your kinsfolk and from your father’s house to a land that I will show you’” - not the one we have told God to send us to; that we have counseled God to choose for us but the land “that I will show you”. Another paragraph of the Chapter, already quoted above, makes reference to Jesus’ own approaching borders. Here we are invited not only to cross over, like Jesus, into the Samarias of our time, entering more fully into the lives of the poor, but also to follow him in his self-emptying. This biblical term connects the going across borders with the deepest mysteries of our faith, with the paschal mystery, with the kenotic God of the Holy Trinity. Building on these biblical foundations we will avoid the possibility that our reflection on internationality and our appeal to cross borders become too pragmatic and shallow. There are, of course, pressing missionary needs just on the other side of many fences and concrete needs of exchange of personnel, but the deepest motivation for our missionary availability lies in God’s unpredictable plans that make us into pilgrims all the time, and in his self-emptying love towards all, especially the poor. Fr. Marcel Dumais, member of the general council, has recently elaborated the biblical mission models and its relevance for the Oblates. The paper has been published in Documentation OMI. Marcel distinguishes 1. the kerygmatic model as we find it in the Acts of the Apostles when Peter and Paul announce the Gospel to their fellow Jews; 2. the model of Athens where Paul uses popular philosophy in his approach to the Greeks; 3. the gospel model employed by Jesus to gradually bring his disciples to a greater fullness of faith; and 4. the Emmaus model with its elements of empathic solidarity and challenging the disciples to go beyond their limits. It is important to recognize that the Bible presents more than one model of evangelization! Several approaches are available and may be consulted every time we venture beyond a new border. God’s word itself encourages us to continuously adapt our methods of mission. We may reread St. Eugene’s call and charism through the lens of border crossing, and then apply the same challenge, now, to ourselves. It would be interesting to do a count of all the political borders our Founder had to pass in his lifetime and his personal experience of internationality. During his childhood in France and his youth in exile, he learned to express himself in three languages, French, Provençal and Italian. Later as superior general and bishop he showed keen interest in far-away countries, for instance, the earthquake on the island of Guadeloupe. He was strongly motivated to send his missionaries abroad. Let us take note that our Congregation has grown because of the foreign missions, increasing from 55 members in 1840 to about 400 at the Founder’s death. It probably survived the times only by reason of foreign missions! It is more important, however, to look at Eugene’s spiritual journey, focusing on how he was ready to set out into the unknown like Abraham and Sarah. He also crossed borders like Jesus. This year we remember Eugene’s encounter with Christ Crucified on Good Friday (probably 1807) when the passover mystery he celebrated brought him to personally cross over from death to life. A second crossing over was to the poor of Aix and surrounding areas – prisoners, domestics, youth, rural population – and we admire the effort he made to use their language. A third border was passed when our Founder established community life, parting from the privacy of his mother’s home to the unknown of community life with its joys and sufferings. These are borders we too, as Oblates, need to go across all the time – entering into the paschal mystery, becoming close to the poor with their always new faces and accepting always the unknown and unfamiliar realities of community life. It can be observed that in the Congregation, internationality and going beyond the ambit of one’s province, delegation or mission, does not come without difficulties and often raises fear. New missions are born from the pangs of birth and restructuring is never easy. Often, at Regional meetings, discussion of common endeavors, for instance interprovincial formation houses or other joint ventures, occurs with some difficulty. It would be good to name the difficulties and fears arising from each case, especially at the working sessions of Regions and Subregions. Realistically, the Regions and SubRegions are the groups within the Congregation most responsible for enabling and encouraging “border” crossing. I will mention some of the difficulties that arise and need to be faced if we want to overcome our fears. First, there exist two seemingly opposing challenges to our mission: inculturation and openness to other cultures. On one hand, the Gospel needs to be inculturated so that the apostolic community finds a local expression. For a missionary Oblate, inculturation has to do with learning the local language, familiarisation with and use of local cultural systems, the effort to live more and more from local resources. The first fear that arises in the missionary is that he might lose his cultural roots, or he may be afraid of the poverty of resources for the mission. Losing his cultural roots deprives the local community of the richness of other cultures. To address this, it may be helpful if the local community is made up of foreign missionaries from different countries because then the local culture more easily becomes the common point of reference; yet there is a clear richness in the other cultures present in the community. The process takes a big leap forward at the point when local Oblates take up positions of leadership. It may happen that the province unconsciously would prefer to do away with internationality. The local Oblates do not want to feel like strangers in their own communities. However, we know that as a missionary congregation, we have the task of upholding the missionary flame within the local church, challenging it to open up to the full Catholicity of our faith. For that reason, in my opinion, provinces should always foster and encourage an international mix in their personnel. As a policy, Units should seek to include members from other countries, and at least a few communities should be intercultural and international. Structures exist only to serve our mission. In many situations we Oblates have expanded our territory to the extent that we find ourselves too thinly spread. How can we find a way to best organize ourselves in this situation? The existing structures may be inadequate. However the first plan for future restructuring may not be ideal to serve our missionary work. How can we avoid losing touch with the local culture and losing contact with Oblates due to the tyranny of distance and cultural diversity? We find here a challenge to our creativity so that we get the benefit of reaching across borders without losing the advantage of the local presence and the familiarity of smaller groups. Units that have restructured are presently experimenting with several types of substructures, such as “areas” or “clusters”, to test their feasibility. They want to experience both realities: that “small is beautiful” and that “border crossing can be refreshing” and provide for sufficient resources to enhance the mission of the Unit. In mission, besides the built-in dichotomy between inculturation and openness to other cultures, and the dilemmas of restructuring, there are still other obstacles that make us afraid to go beyond the boundaries. An important issue is the cultural unease between countries and between cultural or ethnic groups within the same geographic territory. On one hand, we need to respect such feelings and even make adjustments in our congregational structures. On the other hand, we should have enough foresight to gradually seek to overcome these barriers. Some joint ventures in a new mission, a mixed community or JPIC-related activities, can go a long way. Other than historical unease between cultures, there are certain irregular situations, especially in closed settings, that some people would prefer to keep to themselves; they are afraid that when structures are changed, certain persons will be moved, or certain vested interests will be affected. It will be important to address, of course, any legitimate claim, especially of those who would not like to be moved to a completely unfamiliar place. All in all, creating a larger Oblate Unit is often a blessing as it provides more resources and possibilities to address these special situations; for example, finding a better place for a confrere who otherwise would get stuck in a particular situation for many years. Financial concerns are among those we have most difficulty talking about. When we create intercultural or international settings, dissimilarities in financial resources and administrative skills will appear. As with the other obstacles, it will be important to name them. It challenges us to ensure the formation of competent administrators in all areas of the Congregation to help to overcome this obstacle. Internationality was the new item that came up at the last two Chapters. We know by now that there is a practical need in the Congregation to become more international if we want to start new missions and to keep others where vocations are scarce. As seen above, studies show that especially the younger generation of Oblates will need to face the reality of ministry on an international level more so than today. Compared to the richer term “border crossing”, internationality is something relative; often it will be more important that other borders, even inside a country or a province, be crossed. However, for this to happen an international experience can have a pedagogical function, teaching us one of the essential points of mission that consists of being incarnated in a world other than our own. 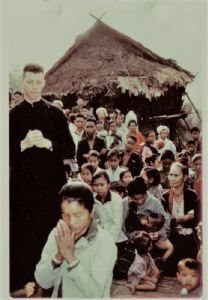 Certain provinces have gone into ministry among migrants in their own country because of the previous foreign mission experience of some of their missionaries. Today we are called to open new mission fields, both in the secularized world and in situations of great poverty. For this to happen we will have to get used to more missionaries from the south who will be invited to witness to Christ among the very poor as well as in materially richer societies. Finally, internationality is a witness factor; it adds credibility to the Gospel character of our communities. Community itself becomes mission when we live in our own houses what Eph 2:19 says: “so you are no longer strangers and sojourners, but you are fellow citizens with the holy ones and members of the household of God”. It is useful to recall that we are members of a Congregation, not only of a province. A few things in our congregation point especially towards going beyond borders. Our tradition of the first obedience given by the Superior General expresses this; it is more than a formality. The International De Mazenod Center of Aix has made many an Oblate aware of the oneness of the Congregation. This was more tangible in the time of St. Eugene, but still can be experienced today. Within each Province, the Oblate Brothers can help us in their own way to cross borders and be open to new worlds to be evangelized, be it in secularized environments, interreligious settings or among the very poor. Finally, there is the larger family of St. Eugene’s charism, especially our own lay movements or “Oblate Partners in Mission” as they now propose to be called. They can help us vowed Oblates to access new mission fields beyond the limits that we would not pass on our own, for instance extending the Oblate mission ever more towards non-Christians. In order to translate this to a form of action, as I will suggest in the last part of my talk, let us heed, as previously quoted, what the 1998 Chapter has asked of all of us, “to live a true conversion in this regard; avoiding being stuck in such terms as ‘my region, my province, my country’ so as to become more Oblates for the whole congregation, the church, and for the world”. How can we move forward the agenda of “crossing borders” for the sake of the mission, as suggested by our last Chapters and “by the Holy Spirit” as the Acts of the Apostles would say? To go about this task let us start from the following three assumptions. 1. Intercultural and international communities are a witness that we as missionaries owe to today’s world. 2. Crossing borders is complex and needs a corporate approach. The missionary energies are at hand. If the leaders of the Congregation do not respond to them they might result only in individual projects with an uncertain future. Such a response is not an easy thing; it takes the effort of thorough strategic studies in each Oblate Unit to overcome individualistic responses. The Immense Hope process gives us important instruments: together we need to deliberate which existing missions we want to sustain, which new ones we should start and how we can match our projects with the means at our disposal. To respond effectively, we will often have to go beyond the delegation and province level and choose a broader corporate approach, for instance through the Regions. Also inter-congregational endeavors can be thought of, as well as projects at the level of the local church or together with non-governmental organizations. Let us take the time necessary to prepare well for bringing Christ and his gospel beyond new borders, but let us start now and do it together. 3. It is essential that both ongoing and initial Formation become more missionary and international. 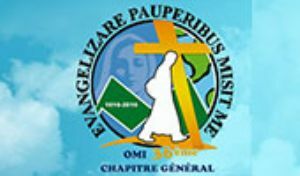 An Oblate bishop wrote to me in March 2007: “… je constate de plus en plus un manque d’esprit missionnaire chez les OMI. Je crois qu’il faut revoir la formation à la base. … Ne jamais oublier que les Oblats sont missionnaires ou ne sont pas !” [“… I perceive more and more a lack of missionary spirit among the OMI. I believe that initial formation needs review… Do not forget that the Oblates are either missionaries or not at all!”] If we want missionary spirit and internationality we will have to prepare our candidates. This preparation must begin at the earliest stages of formation. Too often, we have been prepared in first formation just for parish work, and not enough for typically missionary tasks. We must add that not only the sending side needs to be prepared, also on the receiving side, preparation is necessary as observed above. If we agree on these assumptions several first good steps can be decided upon. 1. Let us continue and intensify the reflection on mission in the Congregation. A good number of activities in this sense have been carried out or are underway, like the mission reflection group in Latin America founded in 2006, the 2007 symposium on Interreligious Dialogue in Indonesia and the recent JPIC training session in Bangkok last July, the upcoming 2008 first congress on Oblate youth ministry in Sydney, the 2008 symposium on mission in indigenous cultures in Cochabamba, a projected session on immigrant ministry in 2009 … Also the earlier symposia on secularity are still worth mentioning. Some of these reflections have already led to action on the ground. A permanent reflection on Oblate mission is taking placing at our own International de Mazenod Centre in Aix. 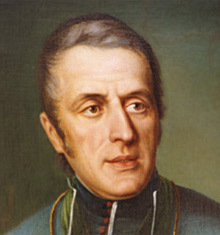 For nearly twenty years the De Mazenod Experience has helped hundreds of Oblates to discover in the charism a pearl of great price grounding a communion among us beyond frontiers. The present Oblate team of the Centre is working on new experiences, believing that our charism is the spiritual rock on which we can build Oblate international households, to empower Oblates for life and mission in the new conditions of international sharing. The Centre has unique potential to make a contribution towards meeting the aspirations of the recent Chapters. The 2004 Chapter understood itself as an important moment of the Immense Hope process and declared: “This General Chapter does not end the Immense Hope Project. It endorses its work and urges every Oblate Unit to continue its efforts to see this as an ongoing process of self-evaluation and strategizing for mission” (letter). It asked that “The General Administration continue the Immense Hope Project by providing that a periodic review of the life and ministry of all Units be carried out” (33). This project continues to be a valuable instrument, now known to the whole congregation, to continuously review our missionary work and to match our missionary endeavors with the resources at hand. What we can still add to “Immense Hope” is to go even further beyond borders in our missionary dreams, and also in concretely sharing personnel and all the other means necessary. It would be good to intertwine our first and ongoing formation with the Immense Hope project which can provide the necessary criteria for important aspects of missionary formation. Whenever we send our young Oblates abroad for regency or studies, the connection that this has for their future work should be as clear as possible. Once we have reached a certain vision of our future work, the challenge then lies in identifying concrete missionary projects. For the Congregation and for provinces, it is easier to respond to these needs if the request is presented in form of a package: clearly defined goals, commitment for a certain number of years, clear personnel and resource requirements. Good projects gather and unite us, keeping alive the missionary flame and preventing us from scattering the energies into individualism and ethnocentrism. As said in the assumptions above, often the response to these projects will go beyond the possibilities of a province; the Region needs to play a major role to mediate this. An example of this is the collaboration needed to help us to establish one or another of the pilot communities wanted by the Chapter. enhancing the “missionaries without frontiers” initiative creating a clearing house of personnel needs and people or communities ready to help. 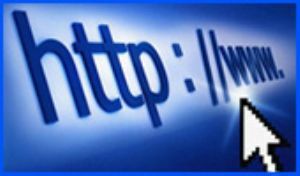 The idea came up at the plenary session of the general council in January 2007 and at the moment, it is no more than an idea. It could be brought to the attention of the next General Chapter. To regionalize formation would mean that the Region takes the ultimate responsibility for it, the main authority over the formation houses passing from the provincials and their councils to an elected board at the regional level. This would not mean that a province will no longer host formation houses and be responsible for them for the day to day running, but that their establishment, staffing and the governing policies will be decided at the regional level. It is hoped that this way, formation will gradually will become more international, and missionary border crossing will become an ordinary part of initial formation. Two hundred years ago St. Eugene fell under the “spell” of Jesus Christ, the Savior. From that time on he had at heart the universality of Christ’s salvation. This salvation needed to include even the poorest of the poor, even criminals condemned to death. It also had to reach the remotest corners of his own country and of the world. St. Eugene wanted the Oblates to be “the Savior’s co-workers, the co-redeemers of mankind”. He desired that “their ambition should, in its holy aspirations embrace the vast expanse of the whole earth” (1818). I believe that the interpretation of St. Eugene’s charism through our general chapters in recent years is “on the mark” when it proposes the challenge of “internationality”, of “border crossing”, at this time in history when we are sent to evangelize the poor in this globalized world. Archbishop Silvano Tomasi in his July 4, 2007, address at a session of the U.N. Economic and Social Council in Geneva, called for a re-examination of the reasons why developing countries are unable to rise above poverty, noting that the number of people living on less that $2 a day continues to rise. An example are the Economic Partnership Agreements (EPAs), comprehensive free trade agreements set to bring African, Caribbean and Pacific (ACP) regions to eliminate trade barriers to almost all EU imports without protection and the counterpart of open markets in Europe.